These lakes were created back in 1923 after the Oakdale Dam and Norway Dam were built. Monticello’s lakes are one of the biggest vacation destinations in the midwest! You can find locals and tourists alike fishing, swimming, and boating. There’s even lakeside dining and shopping for those who prefer their activities onshore. Visiting from out of town? Try out an airBNB for a couple nights or stay at one of the lakeside resorts. Indiana Beach is one of Indiana’s oldest amusement parks. Don’t believe me? Check out this article here for more information on Indiana Beach’s History. It’s home to six coasters. 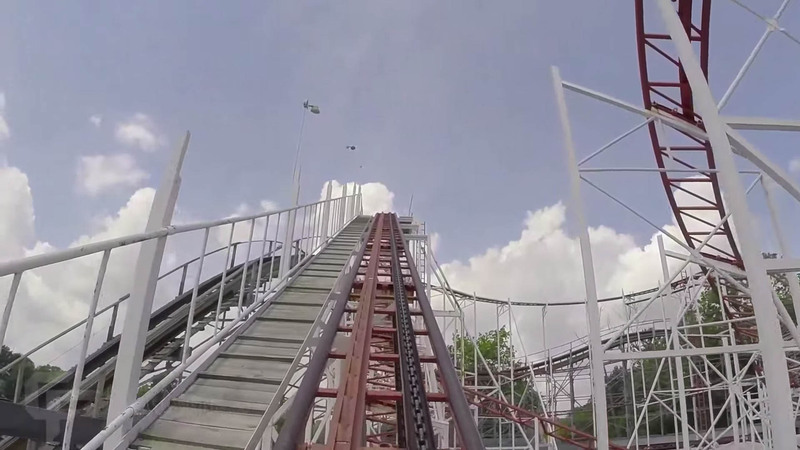 Three wooden roller coasters, including the famous Cornball Express – and the newest addition, a custom steel coaster called the Steel Hawg (featured below). I think we could all use a little excitement in our lives, and that’s where Indiana Beach comes in. Try out their newest coaster, the Steel Hawg! Indiana is known for it’s love of racing! And what better way to experience that then Monticello’s High Speed NASCAR Go Cart track. You can go a couple laps with your friends to find out who’s the better racer or just take a leisurely drive with the kids. To check out the latest homes on the market for Monticello, Indiana – click here.